Mychal Givens’ bottom-line numbers may have taken a step back in 2018, but the right-hander finished the season strong for the Orioles and will again be a possible trade chip this offseason, writes Roch Kubatko of MASNsports.com. The front office tabbed Givens as nearly untouchable in trade talks this past summer under general manager Dan Duquette, but it’s not clear how the new Orioles’ top baseball ops decision-maker will perceive Givens’ availability. The 28-year-old Givens, controlled through 2021, averaged 95.1 mph on his heater, 9.3 K/9 and 3.5 BB/9 in 76 2/3 innings this season en route to a 3.99 ERA. Relief help figures to be as in-demand as ever this offseason as teams continue to more aggressively deploy relievers and shy away from starters facing opposing lineups for a third time. Jon Meoli of the Baltimore Sun chats with rookie center fielder Cedric Mullins about being the first of the Orioles’ hopeful next wave of core pieces to arrive on the big league scene in 2018. Mullins, who turned 24 last week, enjoyed a strong season between Double-A and Triple-A before debuting with the O’s in August and hitting .235/.312/.359 in 191 plate appearances down the stretch. Considered by the Orioles as a potential long-term piece in the outfield, Mullins and Meoli discussed the young outfielder’s opportunity to emerge as a leader of the next wave of O’s talent and the type of speed-based offense he and Jonathan Villar can bring to the lineup. The O’s ranked last in the Majors in stolen bases each season from 2014-17, swiping a stunningly low 19 bases in 2017. Mullins, meanwhile, has a 30-steal season under his belt in the minors (2016) and stole 23 bases across three levels in 2018. Tigers skipper Ron Gardenhire had his share of frustration regarding fundamental miscues in September, and he spoke to Evan Woodbery of MLive.com about the need to have players better prepared for the Majors upon arrival. Woodbery notes that a number of players specifically cited by Gardenhire — rookie infielders Dawel Lugo and Jeimer Candelario among them — were trade acquisitions and haven’t spent the bulk of their career in the Tigers farm. That said, Gardenhire made clear how strongly he, GM Al Avila and farm director Dave Littlefield feel about ingraining fundamentals into players at an early age. “That’s really important to make sure our people in the lower minor leagues are on top of this, our staff guys,” said Gardenhire. “Littlefield gets it. He knows it. Al has talked about it. Our people have to be better in the minor leagues. They have to pound it in or we’re going to find new people. He’s told me that. He’s made that clear.” Everything from running out ground-balls to hitting the cutoff man to proper execution on double plays will be a point of focus, per Gardenhire, who is quoted extensively in a piece that’s well worth a full look for Tigers fans. While some Athletics fans were hoping for a look at top pitching prospect Jesus Luardo late in the season, especially amid significant rotation injuries, the 21-year-old was kept in the minors as he worked a heavy slate of innings in his first full season back from Tommy John surgery. General manager David Forst, though, expects Luzardo to be in the mix for a spot next season once he has a full winter of rest under his belt (link via Ben Ross of NBC Sports Bay Area). “I think Jesús is going to come into Spring Training and be a factor,” said Forst. “…He’s probably one of, if not the top left-handed pitching prospect in the game. So I expect he’ll come into Spring Training and be a factor for us.” Luzardo, who only turned 21 on Sept. 30, worked to a 2.88 ERA across three levels this season, though that mark was skewed a bit by four ugly starts in Triple-A late in the season that saw him yield 13 runs in 16 innings. The lefty blitzed through Class-A Advanced and Double-A despite facing much older competition and, even if he doesn’t make the team next spring, looks ticketed for Triple-A to open the year, making him a very plausible option to come up in the first half of the 2018 campaign. Happy birthday to Ichiro Suzuki, as the future Hall-of-Famer turns 44 years old today. Clark Spencer of the Miami Herald takes a look at Ichiro’s offseason training regimen, though “offseason” may not be the correct term since the outfielder has continued to work out at Marlins Park almost every day since the season ended. Near-daily training has been a staple of almost every offseason for Suzuki — he took a month off in 2005 but tells Spencer via an interpreter that “my body just didn’t feel like my own body. My body was, like, sick.” Ichiro has long been known for his incredible fitness regime, and he doesn’t appear to be stopping anytime soon, as he has said that he hopes to keep playing into his 50s. With the Yankees making a deep postseason run this year, Joel Sherman of the New York Post has a few suggestions on what the club must now do to cement itself as a World Series contender. The list includes signing Shohei Otani, cutting down on strikeouts, re-signing CC Sabathia, reinforcing the bullpen by signing Mike Minor, and trading a high-paid veteran to ensure that the team gets under the $197MM luxury tax threshold. Sherman also floats the idea of shifting Gary Sanchez into a part-time DH role with Otani, which then necessitates signing a backup catcher capable of handling a workload of around 60 games. The Tigers’ choice of Ron Gardenhire as the team’s next manager “was a solid hire. It was a safe one, too,” The Athletic’s Katie Strang writes (subscription required and recommended). Both Gardenhire and Tigers GM Al Avila are under contract through 2020, so there is no small sense that Avila’s own job security will be scrutinized as the Tigers undergo a lengthy rebuild. Strang also shares some details on the Tigers’ managerial search, which included a wide variety of candidates but seemed to wrap up quickly (before even a second round of interviews) once Gardenhire emerged as the top contender. 11:30am: The Tigers have formally announced the hiring of Gardenhire, noting that he has indeed signed a three-year contract with the club. OCT. 20, 7:40am: The Tigers have scheduled a press conference for 1pm ET today to announce the hiring. OCT. 19: Ron Gardenhire has agreed to a three-year deal to become the Tigers’ next manager, per Jon Morosi of MLB Network (Twitter link). The deal could be announced tomorrow; Detroit’s decision to tab the veteran skipper was first reported earlier today by Ken Rosenthal and Katie Strang of The Athletic (subscription required and recommended). Detroit will install the widely respected 59-year-old in the dugout in place of Brad Ausmus, whom the club decided not to retain past the present season. 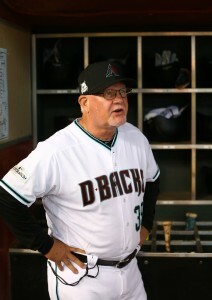 Gardenhire previously managed the division-rival Twins and most recently served as the Diamondbacks’ bench coach. He also fought through a diagnosis of prostate cancer earlier this year, returning to help guide the Diamondbacks to a successful season. At last check, Tigers GM Al Avila had cast a wide net in lining up options. While there was no prior indication that a decision was looming, Detroit obviously decided to go ahead with Gardenhire, perhaps due in some part to ongoing competition with other organizations. Gardenhire was also under consideration for the Red Sox job, though that is expected to go to Alex Cora. After moving on from Ausmus, who was a rookie skipper when he signed on, the Tigers have indicated a clear preference for a candidate with prior time as a MLB manager. Gardenhire certainly checks that box. He spent thirteen years running things for the Twins, beginning in 2012. That tenure spanned quite a few good years, including a run of six postseason appearances in nine years, though the team’s performance fell off sharply in his final four campaigns. Gardy ultimately delivered a 1,068-and-1,039 win/loss record during his time in Minnesota, which wrapped up after the 2014 campaign. He failed to guide the team into the World Series and only made it out of the divisional round once despite the run of regular season success. In any event, postseason considerations likely won’t be much of a factor early in Gardenhire’s tenure with Detroit. The team is only just embarking upon a rebuilding effort that is likely to take several seasons to come to fruition, after all, placing it more in the situation that the Twins found themselves in back in 2011 — the first year of the four-season run of misery. Gardenhire, then, has his share of experience in bringing along younger players through a rebuilding stage. While he ultimately was cut loose in Minnesota, perhaps some of his efforts are beginning to bear fruit there. It’ll be interesting to see how this relationship works out. Avila had suggested a need for a new approach from a new skipper, but evidently was not referring to a strong sabermetric predilection. Gardenhire brings a reputation as an old-school manager, after all. As Joe Posnanski wrote at the end of his tenure in Minnesota: “Gardy comes from the Tom Kelly school — he was the valedictorian of the Tom Kelly school — where managers grump and demand and instill and bunt too much and occasionally fall in love with limited but gritty players.” That said, Gardenhire is also said to carry a new “openness” to modern analytics after his year with the D-Backs, Morosi tweets. Avila and the Tigers are betting that approach will help foster the growth of a new core and ultimately guide the team back into contention. Red Sox president of baseball operations Dave Dombrowski’s decision to dismiss manager John Farrell earlier today wasn’t entirely unexpected, though like any managerial firing, it’ll lead to a wide swath of questions in the coming weeks as Boston seeks to hire a new skipper. As Peter Abraham of the Boston Globe writes, Dombrowski said Wednesday that his priority will be to hire a replacement that has previous experience as a manager or a Major League coach. That, as Abraham points out, likely crosses off fan-favorite suggestion Jason Varitek — the former Red Sox catcher who has been working as a special assistant to Dombrowski in the team’s front office. Varitek has been an oft-speculated managerial candidate in past years, but he’s yet to get his feet wet as a coach in either the Majors or the minors. Names of potential candidates should emerge over the next week or two, though Abraham and a few other reporters have made some initial suggestions. Abraham lists bench coaches Alex Cora (Astros) and Ron Gardenhire (D-backs) as well as recently dismissed Tigers skipper Brad Ausmus as possibilities. Gardenhire, of course, spent more than a decade managing the Twins while Dombrowski was GM over the AL Central rival Tigers, and it was Dombrowski who originally hired Ausmus as the skipper in Detroit. USA Today’s Bob Nightengale has also suggested that Gardenhire could emerge as a candidate, while ESPN’s Buster Olney tweeted that Cora could get strong consideration as well. Meanwhile, CSN New England’s Evan Drellich tweets that Giants hitting coach Hensley Meulens could get consideration as well. As to the reasons that Farrell was ultimately dismissed, Abraham details a number of instances of Farrell’s communication with his players deteriorating. Abraham reports that Dombrowski and Farrell strongly disagreed with how the team handled Manny Machado’s controversial slide into Dustin Pedroia earlier this year. Farrell’s claims that he was in the dark during the ridiculous Apple Watch scandal also reflected poorly on him, and the drama between David Price and commentator Dennis Eckersley also suggested further lack of communication between Farrell and the clubhouse, Abraham writes. Despite an end to this season that we all wanted to be different, I am proud of this ball club and the resiliency shown. I have enjoyed every moment of this job – its peaks and its valleys. There are few, if any, positions in life that create so much passion on a daily basis. I am grateful to an ownership group that gave me such a unique opportunity, and one that shared my desire to bring World Series championships to this great city. They supported me through a challenging and scary period in my own life, and I remain forever indebted. I am grateful to two front office groups that worked tirelessly to provide me with the players that could consistently match up with the very best in the game. Their time and resources made my job so much easier and fulfilling. I am thankful for fellow coaches who are far more than that – they are close friends. They have provided the necessary direction, guidance, and humor that have made the daily activities of a long season all that much more enjoyable. I am especially grateful for five years of great players – and people. This game has always been built around and for the players, and I have tried to respect that for five years in Boston. I have witnessed Hall of Famers, memorable Fenway wins, and countless private moments that will always be with me. Those relationships will remain cherished for years. The legions of fans who support this franchise keep their manager on his toes day in and day out. There are no days off when managing this proud franchise. I would not have wanted it any other way. Again, I thank John Henry, Tom Werner, Michael Gordon, and the ownership team for their faith in me and wish them nothing but the best moving forward. Beyond the managerial change, it seems likely that the Sox will be in for several coaching changes as well. Drellich writes that the team’s coaching staff has been informed that they can pursue opportunities outside the organization — an indication that whoever is tabbed as the next skipper will be able to bring on his own coaching staff. MLBTR extends its best wishes to Giants skipper Bruce Bochy and Diamondbacks bench coach Ron Gardenhire, each of whom underwent surgery today, according to a pair of club releases. Bochy had a “minor ablation procedure this morning to alleviate some discomfort he was experiencing due to an atrial flutter,” the Giants said in a statement. Bochy is expected to rejoin the team on Friday, and in the interim, bench coach Ron Wotus will assume managerial duties. Gardenhire’s surgery was part of his ongoing treatment for prostate cancer, which he was diagnosed with during Spring Training. Both veterans are among the most respected and well-liked managers/coaches in the game, and we join those around the industry in wishing Bochy and Gardy full recoveries. The Dodgers announced that left-hander Grant Dayton has been placed on the 10-day disabled list due to an intercostal strain. Right-hander Josh Fields has been recalled from Triple-A to take his spot on the active roster. The injury to Dayton, who has provided L.A. with 32 2/3 innings of 1.65 ERA ball dating back to his MLB debut last season, leaves Luis Avilan as the lone southpaw in manager Dave Roberts’ bullpen (as their depth chart at RosterResource.com shows). To this point, there’s no word on whether Dayton will be able to return in the minimum 10 days or if he’ll require a lengthier stay on the shelf. The Padres are looking for more production at shortstop but are hoping for one of Erick Aybar, Allen Cordoba or Luis Sardinas to step up for the time being, writes AJ Cassavell of MLB.com. There’s some optimism in the organization that prospect Luis Urias could emerge as a viable option, though he could be a ways off from the Majors. Urias opened the year at Double-A but is just 19 years of age. He did post a very strong .333/.404/.446 batting line as one of the youngest players in the Class-A Advanced California League last season, though, and even got a brief cup of coffee in Triple-A in 2016 (three games). In the meantime, manager Andy Green praised Aybar’s eye at the plate (he’s walked six times) and voiced confidence that hits will begin to fall in for the veteran. Aybar is hitting just .147/.293/.206, while Sardinas comes with less of a big league track record and Cordoba is swimming with sharks after jumping directly from Rookie Ball to the Majors as a Rule 5 pick. ESPN.com’s Andrew Marchand penned an interesting profile of Yankees assistant GM Jean Afterman, who is currently the only woman holding that position leaguewide. Afterman has a fascinating and varied background; she ultimately became a lawyer and later helped pioneer the movement of players from Japan to the majors. While Yankees GM credits her as a “pit bull” who could easily hold a position as his peer, she says she prefers to remain with the organization as an adviser. It’s a fun look at an interesting person that also tackles the ongoing question of whether the game can do more to grow the involvement of women in upper management. In another profile, Jerry Crasnick of ESPN.com takes a look at controversial Marlins owner Jeffrey Loria as he reportedly prepares to sell his franchise. Crasnick examines some of the differing angles on Loria, focusing on his relationship with the tragically departed Jose Fernandez. Loria also defends his place in the game and discusses the possibility of taking an ambassadorship to France in a sit-down with Crasnick, which you’ll want to read for yourself. Rockies third baseman Nolan Arenado chatted with Ken Rosenthal of FOX Sports, who calls the star performer “one of the game’s most inquisitive superstars — if not the most inquisitive.” As he looks to build upon his standing as one of the game’s better all-around players, Arenado is described as constantly seeking to improve by interview subjects such as agent Joel Wolfe, former skipper Walt Weiss, and a variety of veteran players. Soon to turn 26, Arenado has compiled back-to-back forty-plus home run seasons, and also significantly boosted his walk rate last year while continuing to provide high-quality defensive work at third. Of course, his park-adjusted batting production suggests he has been more a very good than a great hitter to this point in his career, though he has improved at the plate in every season in the majors and could perhaps continue to do so if he can expand upon that growth in the plate-discipline department. 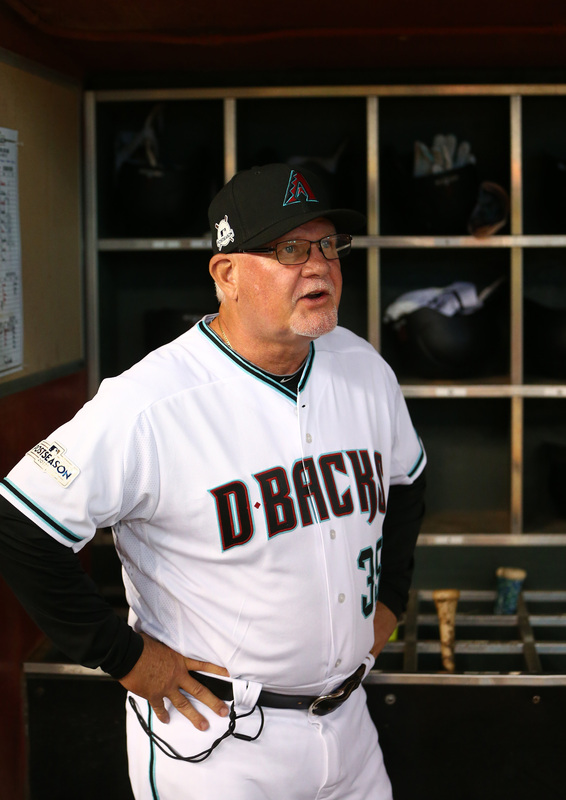 Diamondbacks bench coach Ron Gardenhire has been diagnosed with prostate cancer, according to a team announcement. MLBTR joins all those around the game in wishing him the best of luck as he battles the condition. Gardenhire, who joined Arizona’s overhauled field staff over the offseason, tells Nick Piecoro of the Arizona Republic (Twitter link) that he will undergo surgery in mid-April. He is expected to require up to a six-week leave of absence at that point, with expectations that he’ll return to the club at that point.